In The Chela and the Path El Morya brings us the deep spiritual truths that we all need in order to meet life's challenges today. Meet those challenges by understanding who you really are and can be – a calm, centered, fiery being unmoved by today's turbulence. Connect with your spiritual allies, the ascended masters and archangels! Our very life, even the integration of consciousness itself, is at stake in the challenge of just living from day to day. 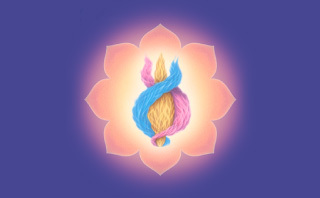 As the manipulations of a synthetic society massage our senses into subtle and strange compartments of unreality, the ascended master El Morya comes with the Christic and Buddha solution. He points the way out of the world's delusions—the self-delusions, the “us and them” mindset,and our conditioned sense of sin, struggle and shame. 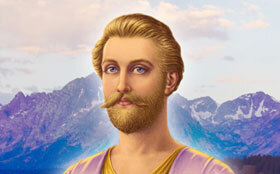 Who is the Ascended Master El Morya? 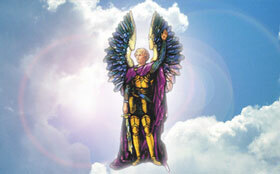 El Morya's attained the enlightenment of the Buddha and the ascension of the Christ. What's more, he says that if we follow the same teachings of the Gurus which he followed, we too can attain. El Morya is an ascended master. Western saint turned Eastern adept, he takes on chelas of the Masters of both East and West and initiates them in the rigors of the ascension. The ascension: path of Jesus, Mary, Saint Germain, of Gautama and Maitreya and the patriarchs and prophets of Israel. 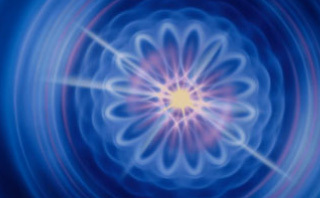 The ascension: goal of soul-liberation through reunion with that which was, is, and ever will be—the I AM THAT I AM. Morya, the beloved, has entered the temple of the will of God within his own being, there to find the Christ and the Buddha of his own soul. And out of his soul's communion with the Law of the One, he has defined the Goal and mapped out the most direct, hence the most rugged, approach to the summit of being. For those who value footprints in the sands of time and space, the footprints of a living ascended master, El Morya is the one. His fearsome look, his fearlessness, the lightning and the thunder of his presence, these are the resolute expressions of his absolute devotion to the chela on the Path. Morya is a Guru of gurus and so loved by his chelas because he is direct, uncircumscribed, and entirely uninhibited. Morya is the original and only Morya. His motto: Expect the unexpected. His chastisements, filled with his love for the will of God for each evolving soul, never leave his chelas hopeless or the hapless victims of their karma, but always in the joyous challenge to come up higher. For those who would realize their true identity in Christ and in Buddha, El Morya is the most valuable guide on the Path. He prepares you to meet your own God Presence – the Real Self – and to contact the individual Christ, the only component of being through which your soul can survive your experiences in time and space. El Morya drills his chelas for entrance into the etheric retreats of the Great White Brotherhood and for their tutelage under the master of the violet flame, Saint Germain, or in the classes of Serapis Bey, hierarch of the Ascension Temple at Luxor, Egypt. El Morya, the great devotee of the will of God, prepares his chelas for every eventuality they will encounter along the spectrums of expanding cosmic consciousness. 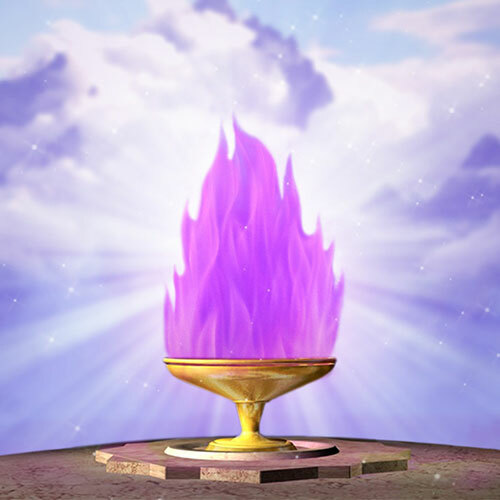 El Morya's bids you to attend his school of testing, meet the testing in your day-to-day experiences, and then experience the inner retreats so that you will be duly trained for the Path. You also know that any failure is your own. For Morya takes on only the stalwart—those for whom the trek upward is worth the inconvenience. If you will submit your will to the will of God, Morya will stand by you until you are counted with those who have gone through the open door of the Christ and the Buddha into octaves of Light. Here your soul reunited with your own I AM Presence will dwell forevermore in the sanctuary of the Most High—a son, a daughter of God, an ascended master. 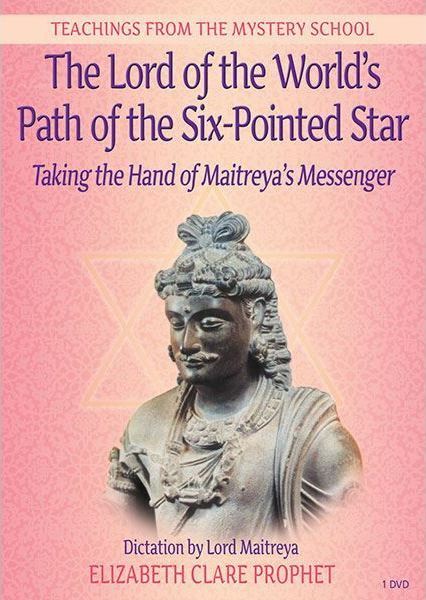 The genius of The Chela and the Path lies in the vast perspective of the author. Included is historical facts of several of his incarnations on earth. You recognize many of them. And you also begin to realize you are picking up once again with his ongoing relationship with your soul that spans the centuries. One and all they will tell you of his very powerful presence, personally directing their chelaship, cutting each facet of the diamond of self-awareness according to the inner blueprint that is the will of God for every soul. Once you have won the Guru's heart, Morya will be to you the truest friend you have ever known.There is only one way—by the courage to “love one another as I have loved you” and be the self-disciplined devotee of God's will. As your sponsor before the Lords of Karma, El Morya will put himself on the line for you! St. Paul said, “Ye are bought with a price.” Only the Guru knows what price he must pay for your opportunity to be chela. Morya stands ready to pay the price for you if you will to be the will of God. The Chela and the Path contains a step-by-step analysis of the Greater Self and the lesser self, drawing the threads of reality and truth handed down from the Ancient of Days. Within the spectrum of the religious and philosophical traditions of East and West, a master of both psychology (the study of the soul) and science, he presents the law of life taught by the ascended masters in their Himalayan retreats. Thus the beloved Master M., as he has been called for more than a century by students of Theosophy, presents ultimate answers to the ultimate questions that twentieth century life defies us to answer, Who am I and where am I going? Liberate your soul for the grand adventure of integration with the Cosmos. Accelerate your path of initiation with the guidance of the ascended masters of the Great White Brotherhood. May The Chela and the Path serve this purpose in your life!